Welcome to this week’s edition of The Friday Five! The Friday Five is a feature that I post every Friday in which I give my thoughts on a topic that’s related to NBA Live, NBA 2K, and other basketball video games, as well as the real NBA, and other areas of interest to our community. The feature is presented as either a list of five items, or in the form of a Top 5 countdown. This week’s Five is a list of five mods that I’d like to make before 2017 is through. Although I don’t get involved with the modding scene as much as I used to, I still like to whip something up and release new mods whenever I can. I really enjoyed going back and updating my 1996 season mod for NBA Live 2004, and with some of the great court and jersey mods that Murat has been working on, I’m looking forward to releasing another new version in the not too distant future. These days I’m primarily focusing on content such as articles, videos, and the NLSC Podcast, but I do have a list of ideas for mods that I’d like to make, and there are some in particular that I’d really like to find time for, some of which I’ve discussed in two previous columns. Please note that this is not intended to be an announcement, a To Do list, or anything like that. There’s no guarantee that I’ll be able to make these mods this year, or ever for that matter. However, at least one has already seen a couple of beta/demo releases, and others are ideas that probably wouldn’t take too long to create, in between the other content that I’m working on (as well as other site updates, and of course, my day job and personal life). However, when the itch to get back into some modding starts to flare up, these are the mods that I’d be most interested in creating in the near future…time permitting, of course. This is Wayback Wednesday, your midweek blast from the past! In this feature, we dig into the archives, look back at the history of basketball gaming, and indulge in some nostalgia. Check in every Wednesday for retrospectives and other features on older versions of NBA Live, NBA 2K, and old school basketball video games in general. You’ll also find old NLSC editorials re-published with added commentary, and other flashback content. This week, I’m taking a look back at the Freestyle Challenge in NBA Live. EA Play 2017 introduced us to The One, the new single player career mode that is set to debut in NBA Live 18. 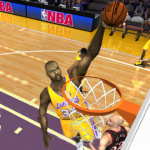 The depth of game modes has been a problem for the NBA Live series since its reboot in 2013, but as I’ve discussed in various 20th Anniversary of NBA Live retrospectives and Wayback Wednesday articles, there was a time when EA were consistently doing some very innovative things with their basketball games. I’ve already talked about the much-missed All-Star Weekend mode that was introduced in NBA Live 2005, but the addition of the Slam Dunk Contest and Three-Point Shootout also led to the inclusion of another mode: Freestyle Challenge. We’re at midcourt, and the ball is about to go up…it’s Monday Tip-Off! Start your week here at the NLSC with a feature that’s dedicated to opinions, commentary, and other fun stuff related to NBA Live, NBA 2K, and other basketball video games. This week, I’m tipping things off with a few thoughts on how we can, and absolutely should, constructively criticise NBA Playgrounds. It’s been around a month since NBA Playgrounds was released for PC, PlayStation 4, Xbox One, and Nintendo Switch. 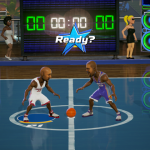 Saber Interactive’s first attempt at an arcade basketball game has been reasonably well-received, even if it’s not quite on par with its legendary predecessors, NBA Jam and NBA Street. Saber has been very diligent in listening to feedback, resulting in some much-needed changes being implemented via the game’s early patches. New players have also been added to the game, additional tournaments are planned, and Switch users will receive a free copy of the new Shaq Fu game for their patience regarding the delay in launching the online features. Saber’s interaction with the fanbase and their gestures of goodwill are extremely admirable, and refreshing. They’ve created an official Facebook group for NBA Playgrounds gamers to offer feedback, share their experiences, and basically keep the lines of communication open, which is awesome. Unfortunately, some of the discourse in the group is, to be blunt, very toxic. I’ve seen some perfectly reasonable suggestions shouted down, and people with valid criticisms told to zip their lips by their fellow gamers. As such, I feel that something needs to be made very clear here: we can and should constructively criticise NBA Playgrounds. Welcome to this week’s edition of The Friday Five! The Friday Five is a feature that I post every Friday in which I give my thoughts on a topic that’s related to NBA Live, NBA 2K, and other basketball video games, as well as the real NBA, and other areas of interest to our community. The feature is presented as either a list of five items, or in the form of a Top 5 countdown. This week’s Five is a list of ideas that were busts in older basketball video games, but have since been implemented more effectively. Sometimes, disappointing basketball video games still bring surprisingly good ideas to the table. Likewise, even the best basketball video games can have features that seem kind of weak compared to the rest of the product. And of course, ideas that were good in theory can be executed poorly, regardless of the game’s overall quality. In the best case scenario, great ideas that didn’t pan out the first time around or were overshadowed by their game’s shortcomings can be dusted off, polished up, and put to use in much better releases. If an idea has merit, it’s worth revisiting. While it may be harsh to call some of the ideas I’m discussing here “failures”, their first incarnation was at the very least problematic, and their basic concepts ended up being shelved for at least a few years. Upon making their way back into more recent basketball video games, they’ve benefitted from advancements in technology and fine-tuning of the original concept, ultimately working out a lot better as a result. Some credit therefore has to be given to those original ideas, which obviously weren’t all bad. Not every one of these ideas is universally liked by basketball gamers, but at the very least, they’ve been salvaged and done better since their debut. This is Wayback Wednesday, your midweek blast from the past! In this feature, we dig into the archives, look back at the history of basketball gaming, and indulge in some nostalgia. Check in every Wednesday for retrospectives and other features on older versions of NBA Live, NBA 2K, and old school basketball video games in general. You’ll also find old NLSC editorials re-published with added commentary, and other flashback content. This week, I’m taking a look back at the dominance of Shaquille O’Neal in NBA Live 2002. If you grew up watching him play or you’re at least familiar with your NBA history, you’ll know that Shaquille O’Neal was one of the most dominant players in league history. Although he was a force to be reckoned with for over a decade, the most dominant stretch of his career came between 2000 and 2002, when he led the Los Angeles Lakers to three straight championships. Putting up huge numbers in the NBA Finals became a trend for Shaq, beginning on this day in 2000 when he scored 43 points in Game 1 against the Indiana Pacers, after scoring 46 points, 37 points, and 41 points in the opening games of the first three rounds. We’re at midcourt, and the ball is about to go up…it’s Monday Tip-Off! Start your week here at the NLSC with a feature that’s dedicated to opinions, commentary, and other fun stuff related to NBA Live, NBA 2K, and other basketball video games. This week, I’m tipping things off with a few thoughts on the importance of consistent controls in NBA Live and NBA 2K. The preview seasons for NBA Live 18 and NBA 2K18 are tantalisingly close…presumably. We should get another glimpse at NBA Live 18 this weekend at EA Play, and with Live scheduled to come out this year, hopefully 2K won’t drag their feet putting out information, especially since they’re once again pushing early pre-orders. In any event, it hopefully shouldn’t be too long before we start hearing about improvements and changes to gameplay mechanics, AI, modes, and all other aspects of the games. Controls will be a key point of interest, specifically whether or not there have been any major changes or enhancements. When it comes to the responsiveness and fluidity of the controls, as well as their depth and influence over the action, it’s probably safe to say that most of us still want to see some further improvement. It’s vital that we have control over advanced moves, don’t get stuck in animations or experience too many canned moments, and not suffer stiffness or a lack of responsiveness on the sticks. Beyond those mechanics however, there’s an important design concept that EA and 2K both need to keep in mind: the controls should be relatively consistent from year to year. Welcome to this week’s edition of The Friday Five! The Friday Five is a feature that I post every Friday in which I give my thoughts on a topic that’s related to NBA Live, NBA 2K, and other basketball video games, as well as the real NBA, and other areas of interest to our community. The feature is presented as either a list of five items, or in the form of a Top 5 countdown. 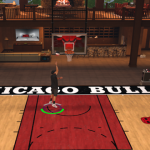 This week’s Five is a list of five things that NLSC THRILLHO has collectively learned playing 2K Pro-Am in NBA 2K17. Even though we’ve cut back on our 2K Pro-Am sessions in NBA 2K17, the members of NLSC THRILLHO still get together once a week, or at least once a fortnight, to play a few games. As Arcane and I have mentioned in recent episodes of the NLSC Podcast, we’ve had a couple of really fun sessions recently including one where we finished the night on a five game winning streak, but also a couple of very frustrating ones. Last week’s session was an example of the latter, leading us to call it a night after only two games. At this point, we’ve played over 470 games, which is the equivalent of about five and three quarter seasons (or a little under two and a half seasons, adjusting the twenty minute games for regulation length). NLSC THRILLHO certainly isn’t one of the top-ranked squads, but with all those games, we do at least have a lot of experience under our belts. To that end, we’ve undoubtedly learned a thing or two about the mode, which has given us a new perspective as we look ahead to NBA 2K18. If I may speak on behalf of NLSC THRILLHO for a moment, these are probably the five most important lessons we’ve learned in NBA 2K17’s 2K Pro-Am. This is Wayback Wednesday, your midweek blast from the past! In this feature, we dig into the archives, look back at the history of basketball gaming, and indulge in some nostalgia. Check in every Wednesday for retrospectives and other features on older versions of NBA Live, NBA 2K, and old school basketball video games in general. You’ll also find old NLSC editorials re-published with added commentary, and other flashback content. 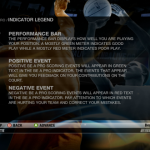 This week, I’m taking a look back at Be a Pro in NBA Live 09. When you think of early incarnations of single player career modes in basketball games, which titles come to mind? The Life in Sony’s NBA series, or the debut of My Player in NBA 2K10, are probably the first two that you think of. However, right around the same time, NBA Live was starting to make some inroads on adding a single player mode of its own. Before Rising Star in NBA Live 14, before Become Legendary in the ill-fated NBA Elite 11, EA Sports were experimenting with career mode concepts in the form of Be a Pro, which only appeared in NBA Live 09. We’re at midcourt, and the ball is about to go up…it’s Monday Tip-Off! Start your week here at the NLSC with a feature that’s dedicated to opinions, commentary, and other fun stuff related to NBA Live, NBA 2K, and other basketball video games. This week, I’m tipping things off with a suggestion for our approach to modding, as look ahead to future releases. Welcome to this week’s edition of The Friday Five! The Friday Five is a feature that I post every Friday in which I give my thoughts on a topic that’s related to NBA Live, NBA 2K, and other basketball video games, as well as the real NBA, and other areas of interest to our community. The feature is presented as either a list of five items, or in the form of a Top 5 countdown. This week’s Five is a list of what I believe are the five biggest developments in modding. I’ve said it many, many times before, but our modding community has done some great things over the years. Of course, creating all those amazing mods hasn’t always been easy, and in the case of some games, it’s taken a while after their release to develop all the necessary tools. Even today, there are obstacles that make modding difficult at times, and there are some things that we used to be able to do that we presently cannot. Obviously, the goal here is to do the best we can with the tools at our disposal, and keep trying to develop new methods and resources that will help us to tinker with basketball video games as desired. With that in mind, we only need to look back at the major developments in modding to find inspiration. As a community, we’ve been able to overcome a lot of obstacles in being able to modify NBA Live and NBA 2K, and in one or two instances, the developers themselves have helped us along the way. In the spirit of recognising all the advancements in modding, and hopefully providing some inspiration to keep doing what we’re doing, I’d like to discuss five major milestones that I believe have marked some of the most important developments in the hobby. Without them, modding would certainly be far more limited, if not impossible. We’re at midcourt, and the ball is about to go up…it’s Monday Tip-Off! Start your week here at the NLSC with a feature that’s dedicated to opinions, commentary, and other fun stuff related to NBA Live, NBA 2K, and other basketball video games. This week, I’m tipping things off with a few thoughts on the future of green releases in NBA 2K. A few weeks back, NBA 2K Gameplay Director Mike Wang made a candid statement about the future of green releases. 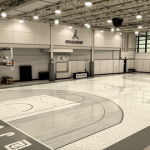 Beluba’s goal is to wean basketball gamers off the concept of green releases being guaranteed baskets, in order to strive for more realism and competitive balance. 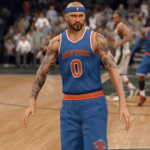 We’ve seen NBA 2K17 take a few steps in that direction, with several tuning updates focused on shooting mechanics being pushed through since the game’s release. Generally speaking, those updates have sought to reduce the number of green releases by making them more difficult to achieve, tweak the percentages of near-perfect releases, or re-balance the shooting in some other way. Results have been mixed, and a lot of gamers have expressed frustration with the constant changes to shooting in NBA 2K17. On top of some tweaks seemingly being either too effective or largely ineffective, there’s been a concern that changes that are made in order to enhance the online experience are negatively affecting single player gameplay. 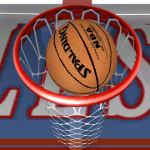 Beyond that, opinion is divided as to whether green releases should be guaranteed baskets – assuming the attempts aren’t blocked, of course – or whether they should simply have the best odds of being made, according to a player’s ratings and attributes. I have to admit, at times I’m a little torn myself. Welcome to this week’s edition of The Friday Five! The Friday Five is a feature that I post every Friday in which I give my thoughts on a topic that’s related to NBA Live, NBA 2K, and other basketball video games, as well as the real NBA, and other areas of interest to our community. The feature is presented as either a list of five items, or in the form of a Top 5 countdown. This week’s Five is a list of five tips for anyone who wants to get involved in creating content for basketball video games. So, you love basketball video games, and you want to create some content for or based on them. That’s great! The ratio of creators vs. consumers in any community rarely favours the creators, so any time that somebody new wants to create entertaining and informative content for basketball games, it’s most welcome. 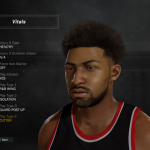 From our original content and talented modding community, to popular YouTubers and the EA Sports Game Changers, people are talking about basketball games, finding ways to help their fellow gamers enhance their experience, aiding the developers, and providing something interesting and entertaining to read or watch. Although there are some well established platforms on which to create basketball gaming content, it can be difficult to know where to begin. To that end, I thought that I’d put together a shortlist of tips for anyone who wants to get involved in creating mods, videos, articles, and so on. Having observed what makes other people’s content successful (and in my opinion enjoyable), as well as having tried my hand at more than a couple of creative endeavours related to basketball games over the years, these are some traits and techniques that I like to keep in mind. Hopefully, some of them will be useful to aspiring content creators within the basketball gaming community. This is Wayback Wednesday, your midweek blast from the past! In this feature, we dig into the archives, look back at the history of basketball gaming, and indulge in some nostalgia. Check in every Wednesday for retrospectives and other features on older versions of NBA Live, NBA 2K, and old school basketball video games in general. You’ll also find old NLSC editorials re-published with added commentary, and other flashback content. 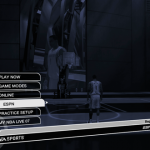 This week, I’m taking a look back at ESPN Integration in NBA Live 07. If I’m being completely honest, then I’ll have to admit that for a variety of reasons, I’m not the biggest fan of ESPN’s coverage of the NBA these days. They are obviously one of the league’s biggest partners though, and through ABC, their presenters have the call for the NBA Finals. Their branding is instantly recognisable to basketball fans, and it makes sense that EA Sports would also want to partner with them to bring authentic television presentation to NBA Live. It’s a relationship that began over a decade ago, with the implementation of ESPN Integration in NBA Live 07.